From teaching to learning. Hva er aktiv læring i praksis? 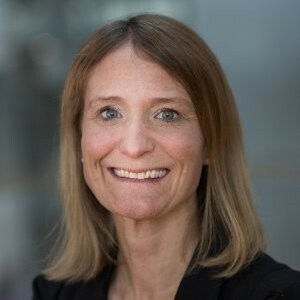 As Dean Teaching and Learning and head of LearningLab at BI Norwegian Business School, Anne-Berit works with the future of business schools and higher education. The engagement in EFMD gives her opportunities to work with and learn from international corporate institutions and business schools. As part of the Expert group for Digitalization and Quality in Education organized by the Norwegian Agency for Digital Learning in HE, she works with national experts discussing challenges in HE and national policies. Finally, Anne-Berit’s engagement in Oslo EdTech cluster gives her insight in and possibilities to influence how this industry develops. Makers of Differ, class communication app using AI and chatbot teaching assistants to increase student engagement and retention. EdTech Foundry is on a mission to provide personalized follow-up to every student in the world. Driving projects forward through process, teamwork and new agile ways of working. Achieving goals through communication practices and working across siloes and disciplines. Motivated by finding and solving challenges. Over 10 years of experience within change projects, digitalization projects and product development projects. I have developed partnership strategies and created programs for usage and adoption of technology. Managing international partnerships creating measurable value. Nils Ove er prosjektleder for det bedriftsinterne lederprogrammet "Utvikling for økt konkurransekraft" som er utviklet og gjennomføres i samarbeid med Handelshøyskolen BI. Programmet startet i 2014 og gikk i 2017 til finalen i European Foundation for Management Development's (EFMD) kåring i kategorien "Executive Development". Nils Ove er også ansvarlig for Norturas interne lederprogram "Ledelse for økt konkurransekraft" . Arve er en av Norges fremste rådgivere innen digitalisering og nye medier. Han har jobbet mesteparten av sin karriere i USA hvor han siden 90 tallet utelukkende jobbet spydspissen av de nye digitale trendene. "Arve Øverland has been at the forefront of digital marketing since the mid-nineties. He has spent most of his career in the United States, where he led a digital agency, working with some of the world’s leading companies and brands. Returning to Europe Arve served as European Digital Practice Director for WWP owned Hill & Knowlton Strategies responsible for 23 offices in 21 countries. His main focus is adapting business strategies to new realities. Throughout his career Arve has been working with companies at the cutting edge of technology development and feel fortunate to now be part of the founding team at Haptiq AS where 3D gaming meets the corporate world." In November 2014 Routledge/Taylor and Francis published his book Always On: Digital Strategy in a Big Data World it is available on Amazon or through the publisher." Swantje works on Change Management Projects to implement Blended Learning and varied active learning for Bachelor and Master Programs. Development and Implementation of a framework for LearningDesign. Inhouse consultant for learning design on course and program level for faculty and courseteams. LearningLab er Handelshøyskolen BIs kompetansesenter for læring og bruk av IKT i undervisningen. LearningLab bistår faglige og øvrige ansatte med pedagogisk utvikling, produksjon av digitale læringsressurser, samt opplæring og veiledning i programvarer knyttet til undervisning. Kate is a Canadian who doesn’t play chess or speak Norwegian, but she is an entrepreneur at heart (started her first company at 12 years old) with a passion for making the world a smarter place. Play Magnus works with World Chess Champion, Magnus Carlsen, on commercializing the game of chess through branded digital products, events and experiences. Check out their apps on the App Store and Google Play: Play Magnus and Magnus Trainer. Joakim is an experienced HR professional in the Telenor Group with expertice within Leadership Development, Training and Corporate Culture development. He has consulting background from AFF at the Norwegian School of Business and Administration (NHH). Amir Sasson works at the Department of Strategy and Entrepreneurship, at BI-Norwegian Business School. Amir conducts research in the areas of Business Models, Networks and Cluster utilizing Economic Sociology and Organizational Theory.